Yes, Final Fantasy XIII was just released in Japan and isn’t even out yet anywhere else but Square Enix is already giving previews of the next game to carry the Final Fantasy name, Final Fantasy XIV. 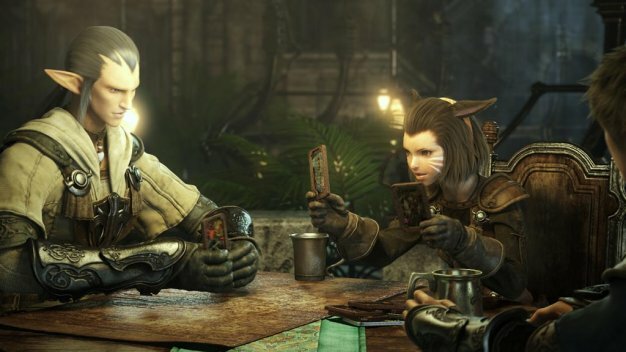 A return to the eleventh Final Fantasy‘s MMO form, it’s been discovered that FF14 will provide a slew of interesting character customization options. Namely, players will be able to customize skin tone, hair and eye color, tattoos, facial scars, and, apparently, breast size; no doubt a bit of a controversial inclusion. Details on these customization options are currently sketchy at best, so we’ll be waiting with bated breath as development progresses on the title.